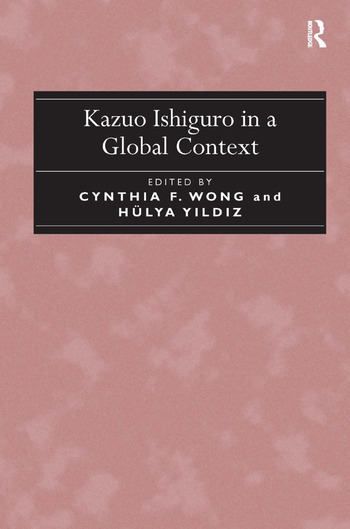 Bringing together an international group of scholars, this collection offers a fresh assessment of Kazuo Ishiguro’s evolving significance as a contemporary world author. The contributors take on a range of the aesthetic and philosophical themes that characterize Ishiguro’s work, including his exploration of the self, family, and community; his narrative constructions of time and space; and his assessments of the continuous and discontinuous forces of history, art, human psychology, and cultural formations. Significantly, the volume attends to Ishiguro’s own self-identification as an international writer who has at times expressed his uneasiness with being grouped together with British novelists of his generation. Taken together, these rich considerations of Ishiguro’s work attest to his stature as a writer who continues to fascinate cultural and textual critics from around the world. Cynthia F. Wong is Associate Professor of English at the University of Colorado Denver, USA, and HÃ¼lya YÄ±ldÄ±z is Assistant Professor in the Department of Foreign Language Education at Middle East Technical University, Turkey.